Hi everyone! 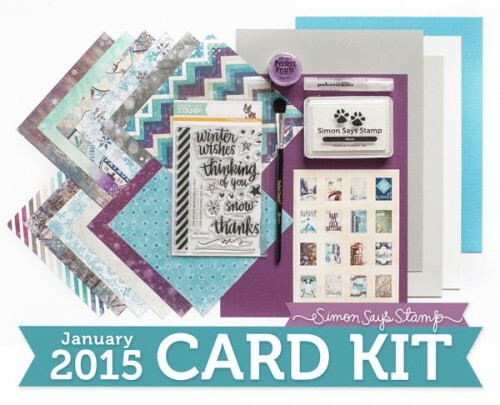 I’m back with another card using January 2015 Card Kit from Simon Says Stamp. For my today’s project I decided to use a few stamp stickers from my kit. I only used 3 and cut one into two pieces so that its used twice on a card. I also embellished my card with a few die cut hearts using a die from the Better Together release. I used the left over gray paper to cut these out. 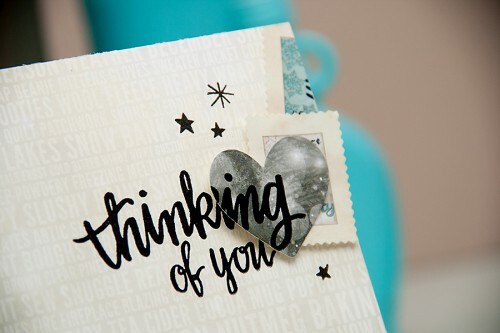 I stamped the Thinking of You sentiment onto the card and also onto the heart. 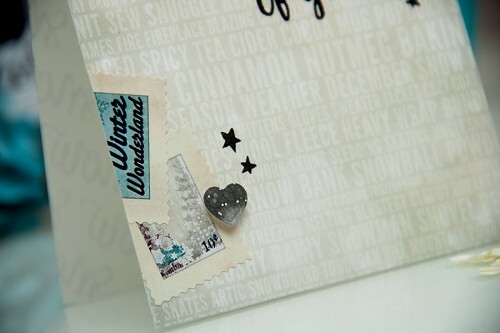 The latter is popper up using foam adhesive and gives my card a bit of dimension. Finally I stamped a few stars here and there around my sentiment to create a visual triangle around it. Very unique and beautiful! This kit is fabulous!